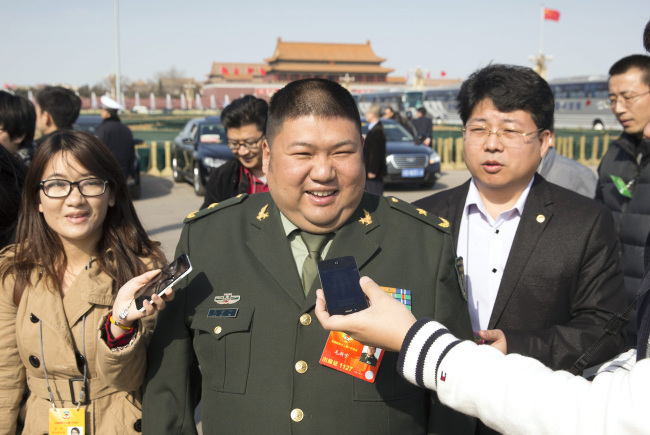 Mao Xinyu, the only grandson of Mao Zedong, made a public appearance last week, silencing a rumor that he was among 32 Chinese tourists killed in a traffic accident in North Korea last month. A Hong Kong newspaper on Sunday published a photo of Major General Mao visiting China State Shipbuilding Corp. on Friday. He and other officials looked around the company research institute and laboratories. The accident occurred on April 22 when a bus crashed off a bridge in North Hwanghae Province. Four North Koreans were also killed. North Korean leader Kim Jong-un visited the Chinese Embassy in Pyongyang the following day and expressed "deep sorrow," according to the North's state media. The Chinese government publicly identified 26 victims but withheld the names of eight others. A media outlet reported that Mao, 48, was among the unidentified victims.